Opened in 1865, the Union Stock Yard was a massive, 475-acre market laid out near Exchange and Halsted Streets. This prodigious facility took advantage of Chicago’s place as a railroad hub, and livestock were brought in from feed lots all around the Midwest and beyond to be slaughtered and processed for hotel banquets, railroad dining car feasts and the dining tables of the humble as well as the hoi polloi. It stands to reason that such a prodigious facility would require a monumental entrance with heft and certain architectural gravitas. Around 1875, the architect John Wellborn Root (he of the famed Burnham and Root firm) created this august limestone gate featuring a bust of “Sherman,” the noted prize-winning bull of John B. Sherman, who was one of the founders of this famous livestock enclosure and abattoir. After serving the nation’s meat-hungry palates for 106 years, the Stock Yards closed in 1971. 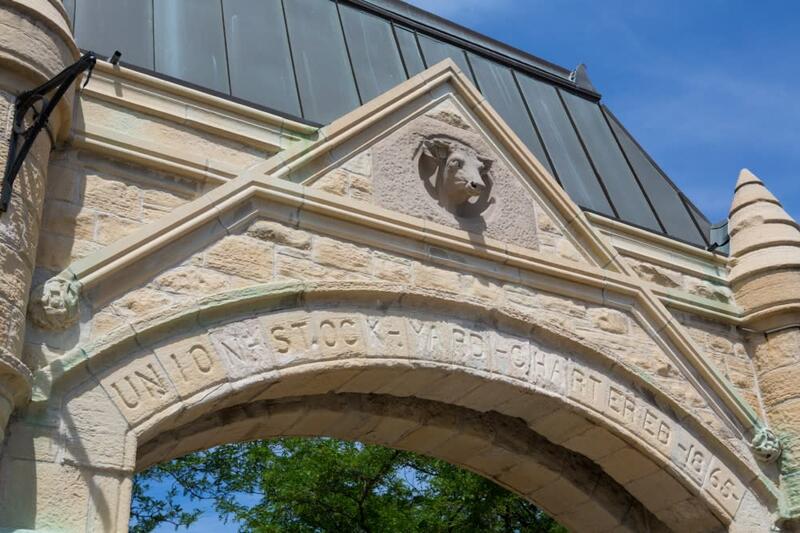 The following year, the Stock Yard Gate was made an official City of Chicago Landmark. Today, one can enjoy this fine reminder of the Windy City’s industrial past while also enjoying the monument to Chicago’s fallen firefighters that sits a few feet away. While the area immediately around the monument is rather quiet, visitors can walk over to Halsted Street and take the #8 bus north to 35th Street and Halsted and enjoy some of the local institutions that define the Bridgeport neighborhood. The Bridgeport Diner at the southwest corner of 35th and Halsted has been serving up hearty breakfast fare for 60+ years. I’d recommend the Denver omelette here, and they also have a wide array of lunch items. 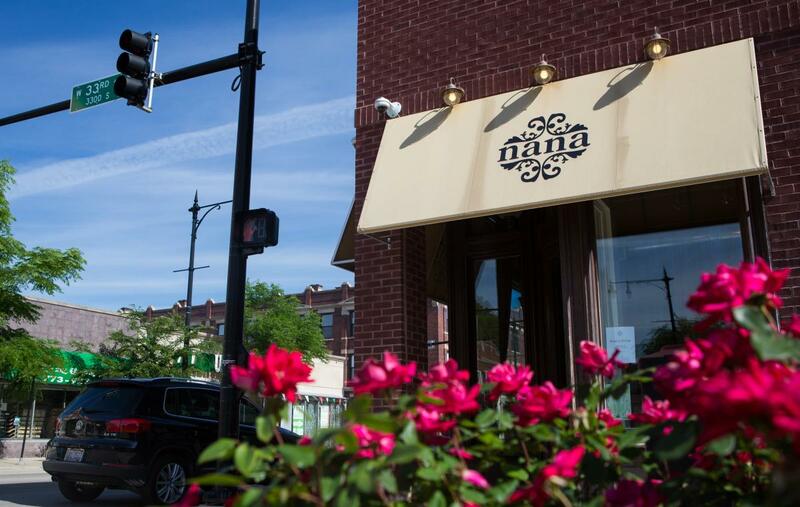 Additionally, you can walk north on Halsted from 35th Street to check out other area gathering spots, including Mitchell’s Tap and the fine organic and sustainably sourced food at nana. Bonus: On Thursdays, they have a three-course dinner tasting menu for $25. If you’re interested in learning about the Union Stock Yards history, this recent book by Chicago historian Dominic Pacyga is a must-read. You can also watch Professor Pacyga talk about his work on Chicago Tonight here. "U is for Union Stock Yard Gate" is part of an ongoing series exploring Chicago from A to Z, highlighting a unique Chicago place and theme for each letter of the alphabet. Stay tuned for more entries, and learn more about architecture and Chicago history on the blog.